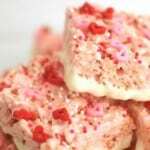 The perfect dinner for Valentine’s Day is really colorful and really easy! Chicken Penne Alfredo has never been so fun. A great dish for the whole family! Valentine’s Day is next week! 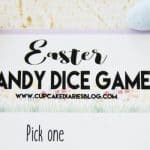 If you’re looking for something fun to serve the family for dinner that evening, look no further. 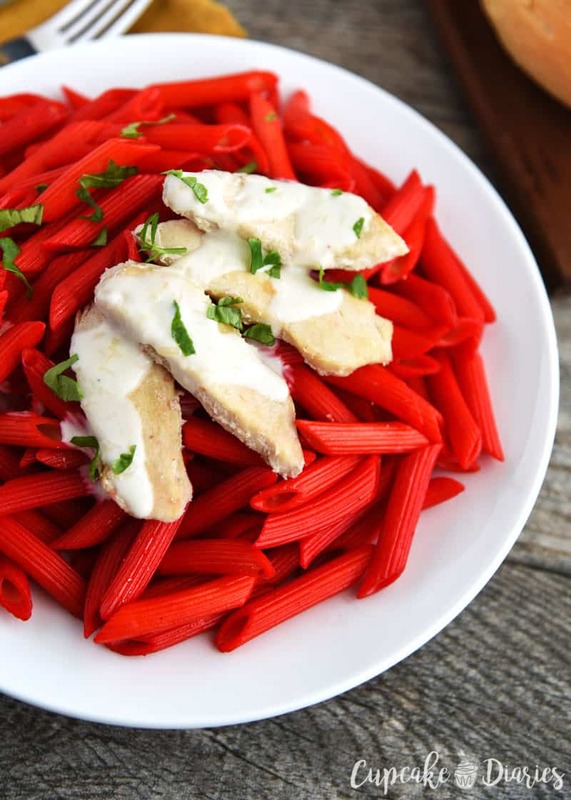 In about 15 minutes, you can have a popular restaurant favorite with a ton more color! 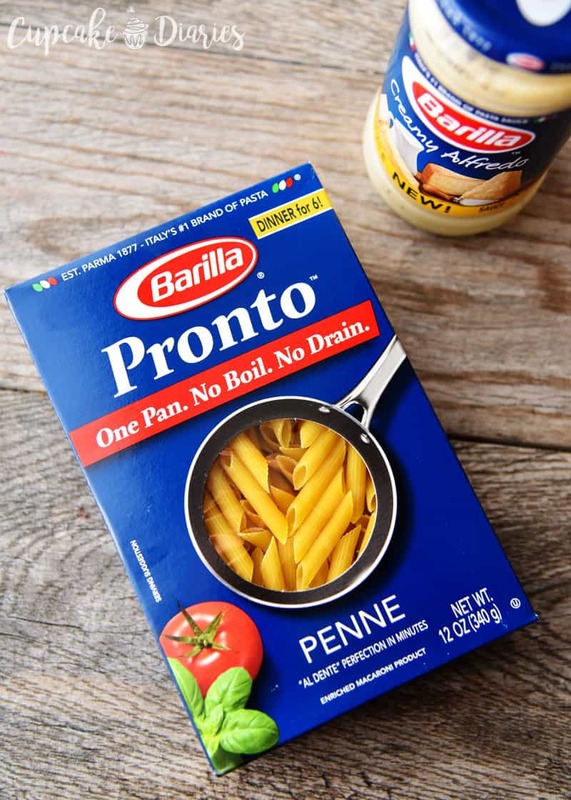 Barilla® Pronto® Penne is the secret to the quick and easy prep. No water boiling required! My kids love fun food. 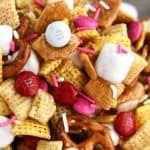 And for some reason, Valentine’s Day is my favorite holiday to make out-of-the-box food for my kids. I think it’s that vibrant red color that gets me. 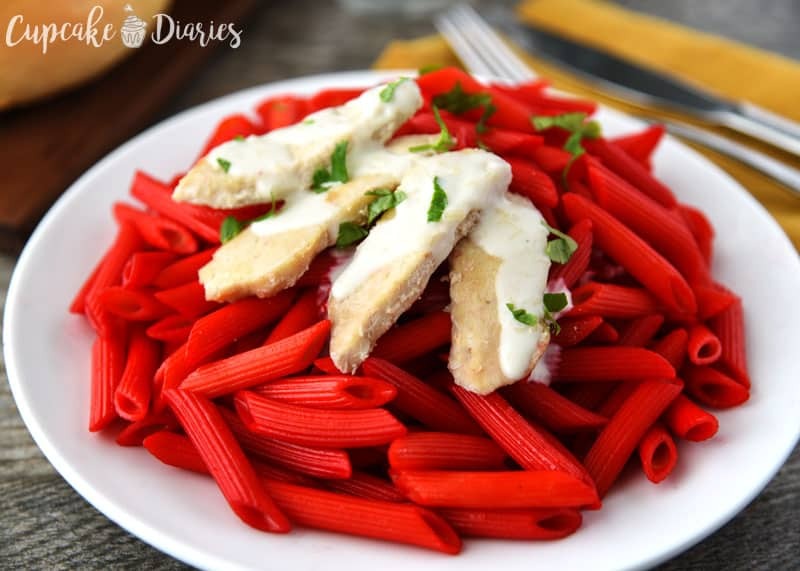 My kids got to eat this pasta early when I created the recipe and they were so excited about it. They thought it was the coolest thing ever. 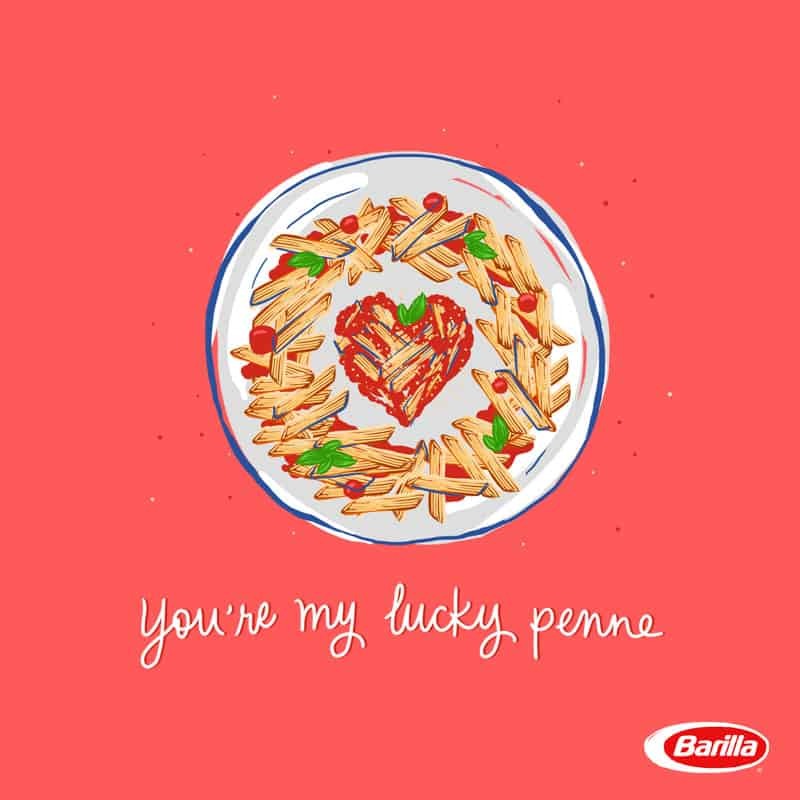 This Valentine’s Day is all about the fun shapes from Barilla Pasta and what we can do with them! 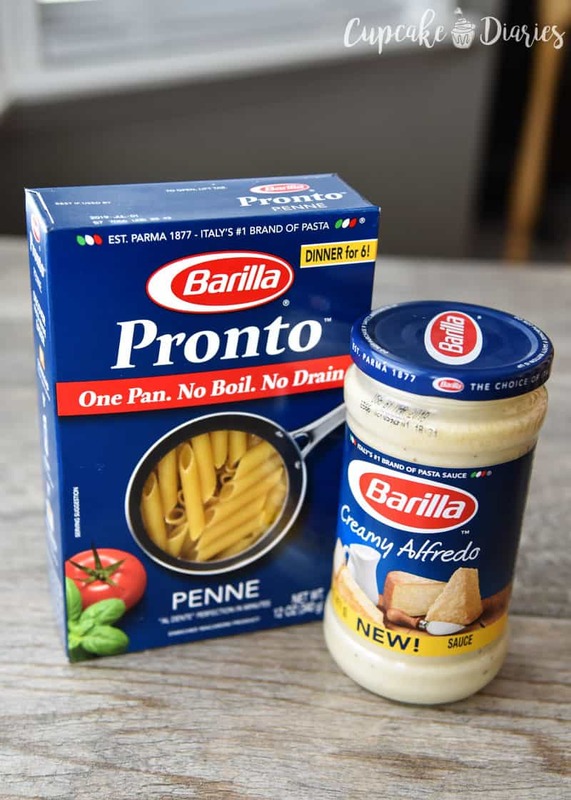 I took the boys to Target and we picked up some chicken along with Barilla Pronto Penne and Barilla Creamy Alfredo sauce. This was my first time using the Pronto pasta and my eyes were opened. In the time it takes to boil water and cook pasta, our entire meal was ready. 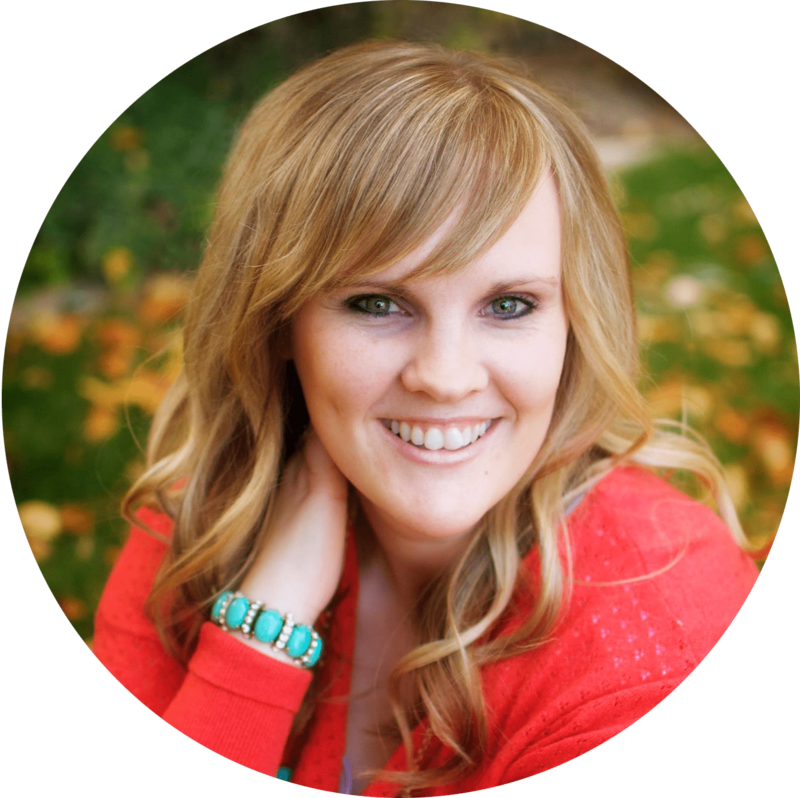 You don’t even have to drain it! Then pour 3 cups of cold water right over top. Turn the heat to high and set the timer for 10 minutes. And that’s it! You’ll want to go back and stir it every now and then, but otherwise it just cooks in the pan with no draining necessary. Once the pasta is cooked, place it in a gallon-size ziplock bag and pour a water and food coloring mixture right over top. Zip up the bag and move pasta around until it’s completely covered. This takes about 30 seconds to a minute and the noodles are evenly coated. Let the pasta sit in the bag while you use the skillet to cook the chicken. 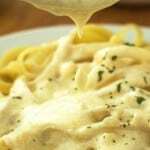 When it’s time for dinner, serve up the pasta and top with chicken and Barilla Creamy Alfredo Sauce. 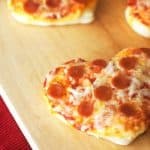 It’s a fun and easy dinner for Valentine’s Day and it only takes 15 minutes! What’s great about this recipe is that any of the Barilla shapes will work. Rotini, rigatoni, or whatever Barilla shape sounds fun! 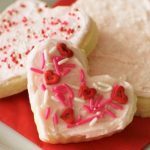 The perfect dinner for Valentine's Day is really colorful and really easy! Chicken Penne Alfredo has never been so fun. 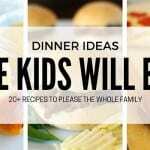 A great dish for the whole family! Pour the entire box of uncooked pasta into a 12-inch skillet and place on the stove. And 3 c. cold water and turn heat to high. Set the timer for 10 minutes and let the pasta cook, stirring occasionally. Remove pasta from the pan and place in a gallon size ziplock bag. 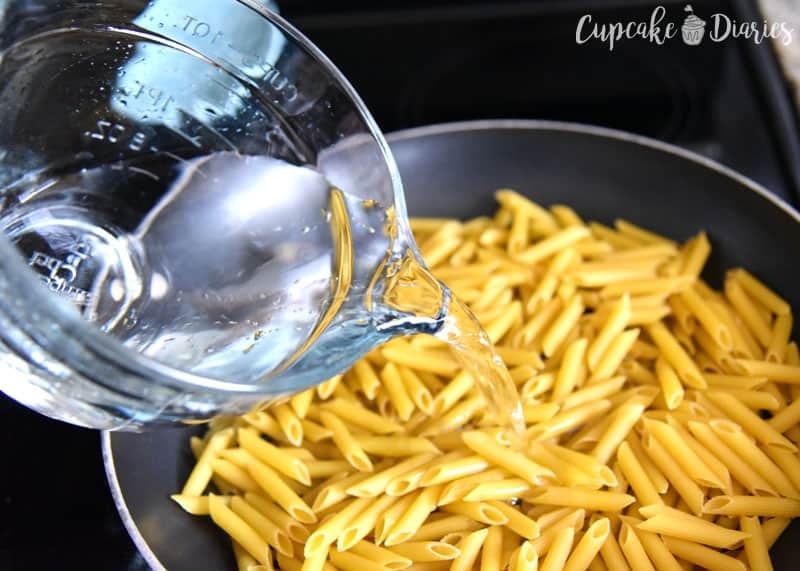 Combine food coloring and water in a small bowl; pour over pasta. 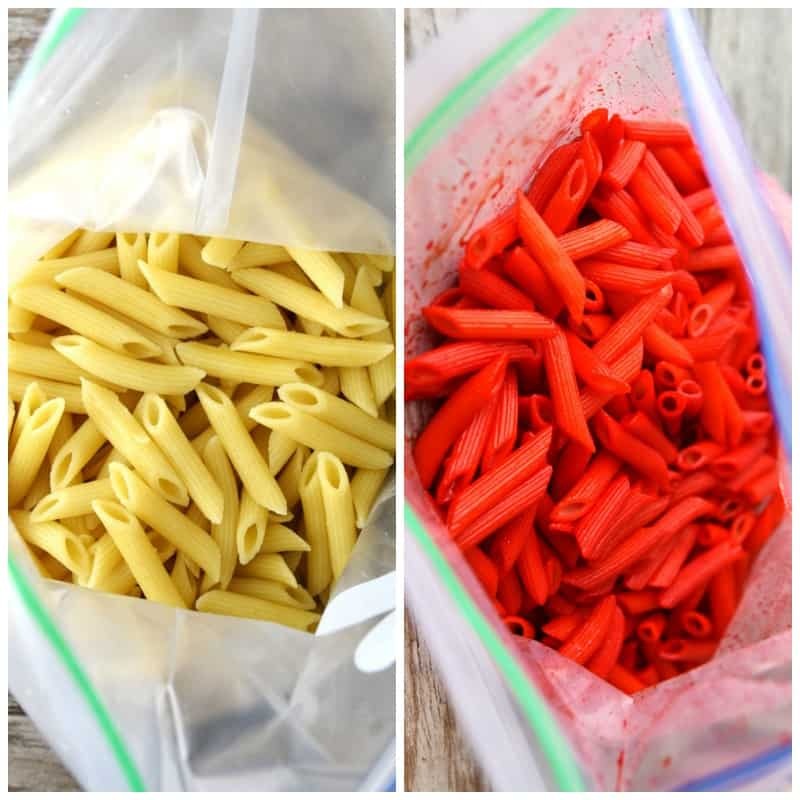 Zip up the bag and move the pasta around to coat in food coloring mixture. Place chicken slices in the saute pan you used to cook the pasta. Salt and pepper the chicken and saute over medium heat until cooked through. Pour sauce into a saucepan and heat over medium on the stove top until heated through. 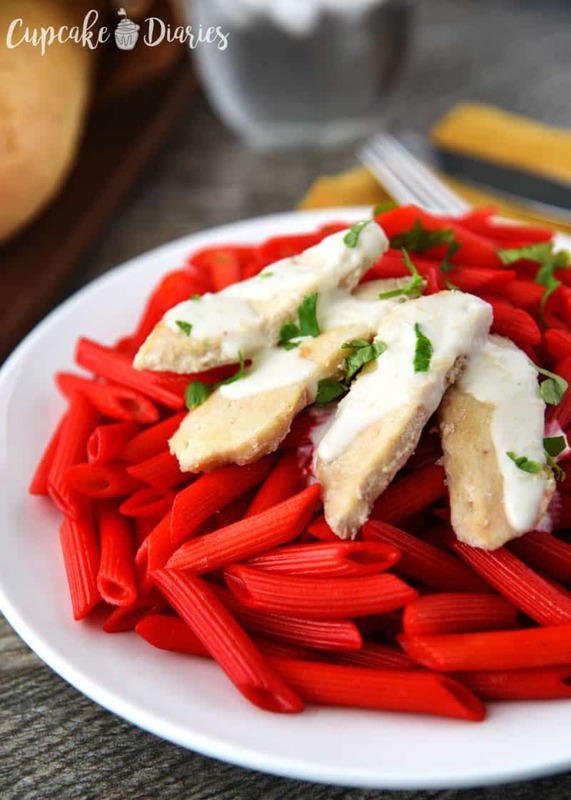 Place dyed pasta onto plates and add desired amount of hot alfredo sauce. Top with chicken slices and serve. 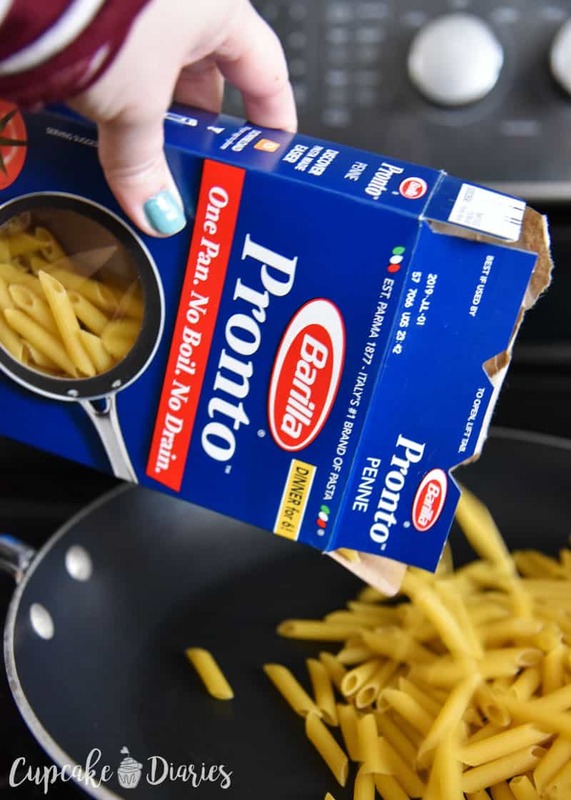 Love me some Barilla Pronto Penne! Snag a Cartwheel Offer just in time for Valentine’s Day. 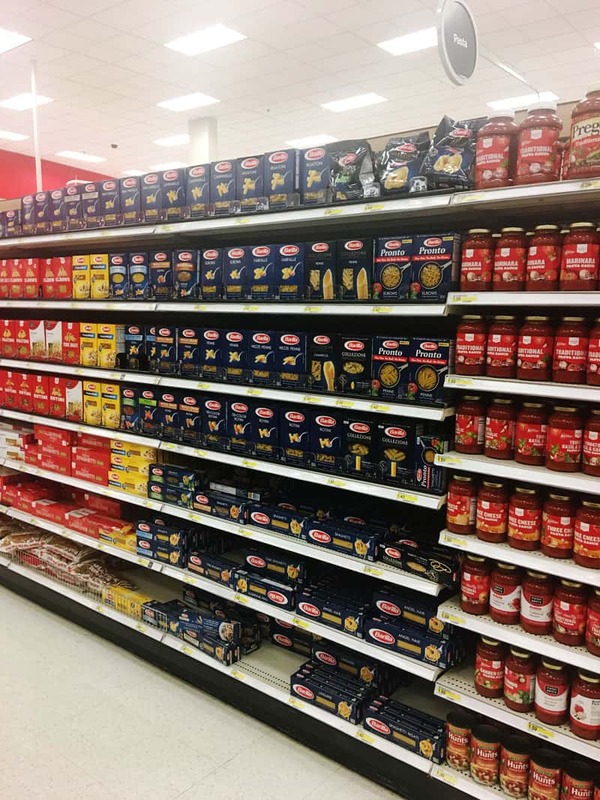 Get 5% off Barilla pasta and sauce! Happy Valentine’s Day! Enjoy the pasta! Hi Irene, Thank you for the comment! Add 3 c. cold water to the pan and turn the heat to high. I added that step above in the photos but forgot to add it to the recipe card. Thank you for asking about that!